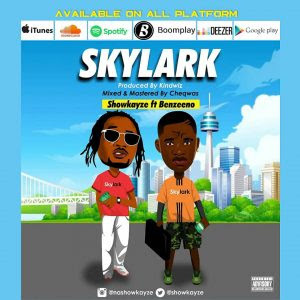 Industry finest “Showkayze‘’ releases new song title “Skylark featuring Benzeeno ” after the release of previous single - Lambebe which was a Street anthem. Showkayze decided to bless our ears with another new lamba for the streetz. He is here to stay with this Song.